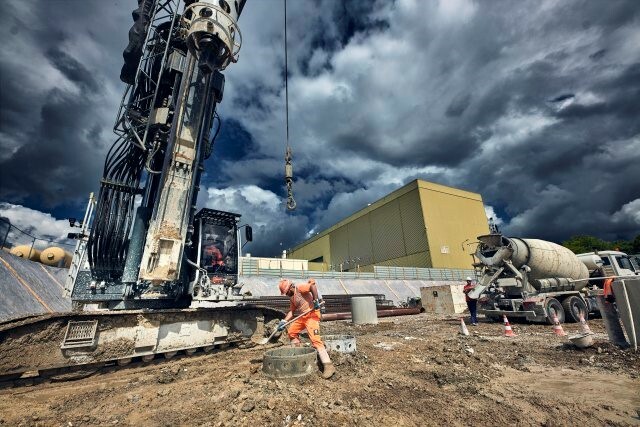 Today marks the official ground-breaking ceremony and hence the beginning of the works to upgrade the Large Hadron Collider (LHC) to the High Luminosity LHC (HL-LHC). This important upgrade will help improve the performance of the world’s largest accelerator to bring out its full potential. The HL-LHC project is an international endeavour that began in November 2011, and was announced as top priority by the European Strategy in Particle Physics in 2013. After successful prototyping, many new hardware elements will be constructed and installed in the years to come. Overall, more than 1.2 km of the current machine will need to be replaced with many new high-technology components such as advanced beam diagnostics, magnets, and RF cavities. Another key ingredient in increasing the overall luminosity in the LHC is to enhance the machine’s availability and efficiency. For this, the HL-LHC project includes the relocation of some equipment to make it more accessible for maintenance. The UK is a major contributor to this important programme and experts from the Cockcroft Institute are leading the UK’s contribution. Our work include development of some of the cryostats, instrumentation to measure the HL-LHC’s beam profile and contributions to the development and testing of so called crab-cavities. The upgraded machine will deliver an even higher number of proton-proton collisions per second, by increasing the so-called luminosity. More collisions mean more chances for physicists to investigate rare phenomena, and collect more accurate measurements.